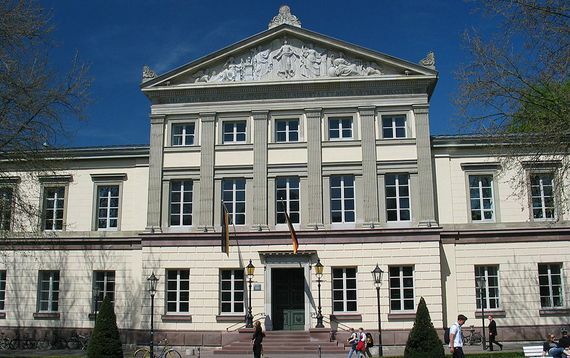 In the late nineteenth and early twentieth centuries, Germany was the world centre of mathematics and physics. In the year 1915, several essential physics theories came to light, among them Albert Einstein’s general theory of relativity, but mathematics was necessary to formalise those revolutionary ideas. In a context in which women had no access to university, no one expected a woman, Emmy Noether, to be the architect of a theorem that allowed the problem of energy conservation to be understood and solved, a law that is key to our view of the universe. Amalie Emmy Noether (1882-1935) was born in Erlangen, and from an early age received a love for mathematics from her father, Max Noether, a professor of algebra at the prestigious university in the city. Although at the end of secondary school at age 18 she obtained the certificate that permitted her to teach English and French at female schools, she decided to apply for admission to the university in her hometown. The rules of the time did not recognise the official enrolment in university studies for women and they were only allowed to attend as listeners, as long as the professor allowed it. In 1901, when she entered the University of Erlangen, she was one of only two “listening” students, compared to the 984 enrolled men. After a program of intense training, in 1904 she was finally able to participate in the usual way, after a change of the pertinent legislation. Just four years later, she defended her doctoral thesis on the calculation of invariants in algebra. In general, an object is “invariant under a movement” when, after executing it, the object remains as it was. For example, a metal disc is invariant at any rotation around its centre. 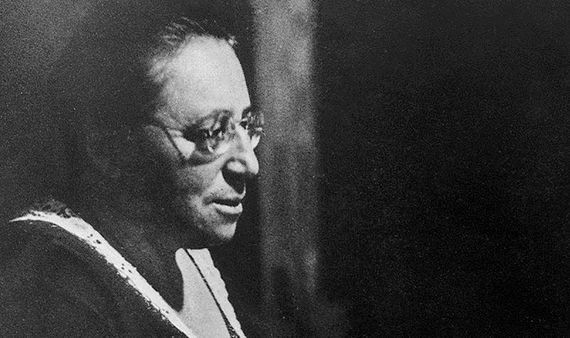 The invariance with which Noether worked was algebraic: she looked for all the invariant polynomial expressions under certain transformations of the space where they were defined, such as translations. Although she had a doctor’s degree, Noether could not be a university professor, and the students who started working with her were officially her father’s students. But the findings of her research on invariants were published in prestigious journals and her profile began to rise. In those years, her fame spread through the German mathematical community and she maintained scientific contacts with colleagues from different universities. Among them was the famous German mathematician David Hilbert, who in 1915 invited her to join the research group he led in Göttingen, which was then the nerve centre of the mathematics world. It was an invitation without a salary, since the incorporation of women into the teaching staff was not allowed. Despite this, it was there that she made some of her most relevant contributions: she applied her notions of invariants to the new ideas of physics that were under development in those years, in particular to the theory of relativity. Researchers in this field, including Hilbert himself, had failed to establish satisfactorily the law of conservation of energy within the framework of General Relativity. The laws of conservation of a physical system establish some magnitudes that remain constant over time. For example, if a system of two or more identical billiard balls that collide is considered, the speeds of the balls change before and after the shock, but the sum of the total energy of the balls remains constant, and therefore the law of the conservation of energy is fulfilled. Noether demonstrated (in what is now known as Noether’s Theorem) that whenever there is an invariance of a physical system, then a law of conservation exists. Returning to the example of billiard balls, the invariance of the problem with respect to time (that is, that the experiment is independent of the moment in which it takes place) is the origin of the law of conservation of its energy. A bridge is thus constructed between a geometric, almost aesthetic, notion with a physical one. Thanks to these works, in 1919 she obtained the qualification to teach at the University of Göttingen, but without any more remuneration than what her students were willing to give her. In 1922, she was appointed as an ordinary professor, now with a small salary. It was then that she focused on problems in an area under full development in those years—abstract algebra—and in particular on the rings and their subsets, called ideals. The rings are a generalisation of integers with their elementary operations (addition, subtraction, multiplication and division) to abstract sets. Noether became a world expert in this discipline, which led her to be the first woman to give a plenary lecture at an International Congress of Mathematicians in 1932 (after her, it would be 58 more years before another woman was invited to this meeting as plenary speaker). In addition, she directed 16 doctoral theses (the first, to another woman, and the rest to men).